If you are looking to reduce the amount of time you spend cleaning your cartridge, as well as increase the clarity of your pool water, then you are in luck. The newest innovation in pool filtration is the Porpoise Pro Series Bandless cartridge. It is driven by revolutionary new technology, PurePleat from Pleatco. It is the perfect innovation for inground pool filter cartridges. What are the advantages of bandless cartridges? A bandless cartridge element means better cleaning power and more surface area. The pleats in a bandless cartridge are rigid and evenly spaced. This means they are less susceptible to folding or bunching and you get more surface area and greater efficiency. The cartridges maintain their strength and vertical alignment for much longer than the competition. They also have enhanced flow dynamics to optimize performance. An added bonus is that these cartridges are easier to clean because they maintain their shape. 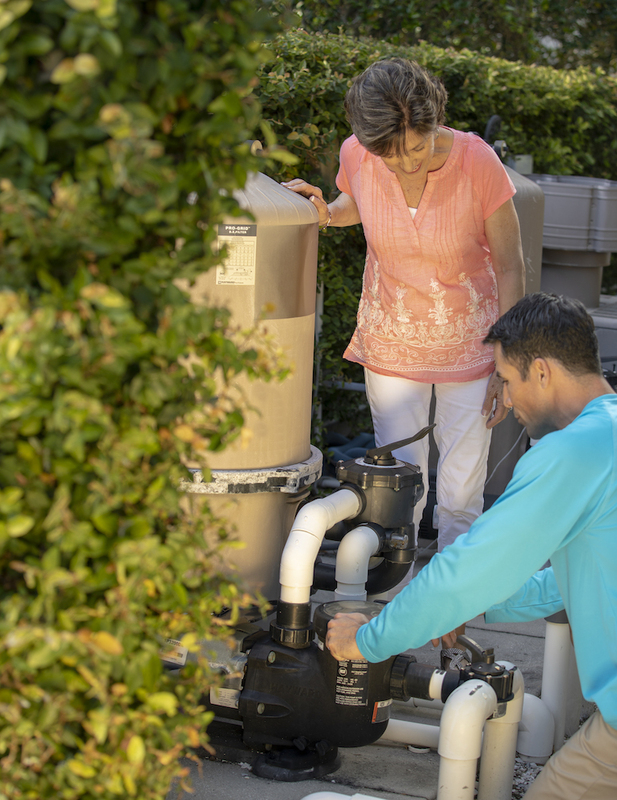 All these factors combine to provide you with less cleaning time of your filter element because the cycle time is much higher. This means more time enjoying your swimming pool! 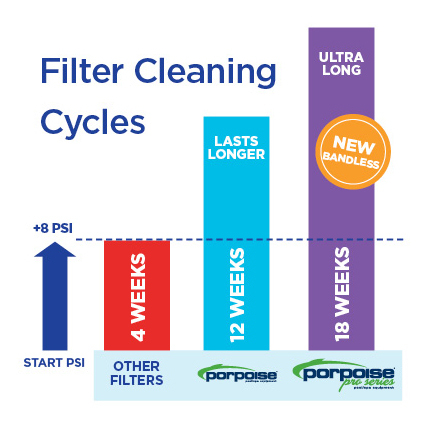 In addition, the Porpoise Pro Series bandless filter cartridge is also available with an anti-microbial coating. This helps to fight germs, microbes, mold and mildew for the life of the cartridge. This will give you and your family cleaner, safer water to swim in all pool season long. Find them at a Pinch A Penny near you!